Stolen Pants is an epic Neutral item card. It is part of the Houses of Morrowind expansion. 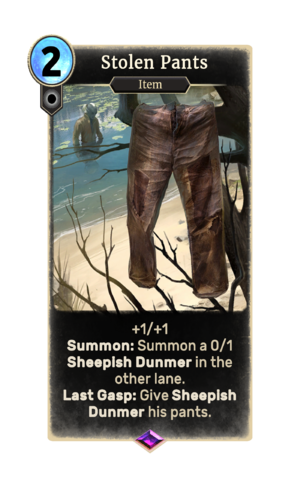 This card is a reference to the Morrowind quest Hentus Needs Pants.